Bored with the same old websites? Looking for a few new corners of the Internet to get you fired up with enthusiasm? Well, you’re in luck. Here at Ink Tank, we get a kick out of unearthing and then sharing the best of the web, from sites that make you smarter to those that are downright wonderfully weird. So whether you’re looking for silly games or something more useful, we’ve got you covered. To see for yourself, check out 21 of our favorite entertaining websites — just remember you’ll eventually have to go outside again. For even more internet entertainment, here are 11 more of our favorite sites perfect for procrastination. With 1900+ informative and interesting talks to choose from you’re guaranteed to find something you love. Check out our suggestions here. Want to learn the difference between, for example, socialism or communism? Or a violin and fiddle? Try this site. Turn any website into a fabulously atrocious Geocities site from the 90s. Fall into the rabbit hole and explore random topics. Click at your own risk. The best place on the Web to learn about our amazing, action packed past. Make sure you have your audio turned up (but not too much). Take thousands of quizzes, or create your own. Be a part of real science projects, such as exploring the surface of the moon, by participating in online research. Write in a language that you’re learning and native speakers will correct your mistakes. Create dreamy works of art with your mouse. Have fun subconsciously drawing genitalia. A wonderful collection of fascinating letters, postcards, telegrams, faxes, and memos from the past. If you’re looking to expand your mind, Khan Academy has hundreds of educational courses that you can take for free. For more brainy sites, check out 40 of our favorites here. Guess where in the world a Google Streetview snap is from. Top tips for buying clothes that don’t screw up people or the planet . Similar to You Should Write, but for artists. Feel like chatting with someone? Omegle lets you talk (either text or video) with a stranger. Create a font based on your own handwriting. Live Plasma is a music discovery engine. Just type in an artist that you love, and it will show similar artists. For more music websites that we love, check here. An online coloring book perfect for both kids and adults – just type in something you’d like to paint, and it will give you the pictures. Thousands of free games online, from big names to indies. Bonus site: Ink Tank and its famous lists of the world’s happiest facts. 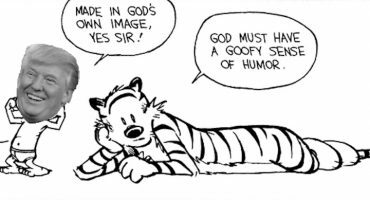 Were there enough interesting websites here to give you endless fun, or do you need more? Let us know in the comments what you think. Follow us on Facebook and Twitter for more mind-blowing coolness. Love your writing on here, Kathleen. Here’s a site that’s right up your alley — http://www.bingeclock.com tells you how long it takes to watch all the episodes of a TV show with or without commercials. What evil genius came up with invisible cow? So weird. Such a cool list. Had a ton of fun with GeoGuesser! Akinator is insane!! How does it do that? The best one is at the top and the second best one is at the bottom. Gaming can be so addictive. I love photography. But it is verry difference other kinds photography. I was thinking of The Akinator right before I visited this site (randomly) on StumbleUpon.. I am now thoroughly convinced that he is reading my mind. ITs a dose for a full day ! I am a designer and that’s why I like the concept of hidden coW ! but thats a bit more sound in the ear ! I loved these websites. Thanks for the list! These are interesting, I almost love all those, Thank you. Great Collection, Keep it up!! Really neat list of things to keep yourself busy. However isn’t our time better spent doing something productive? Thanks for such a great list of entertaining sites. really nice list, liked it! Now I’ll never leave the internet again. Thanks a million! Shameless plug, but we had a blast making this. Hope it makes you laugh and gives you about 3 minutes of less of boredom in your day. 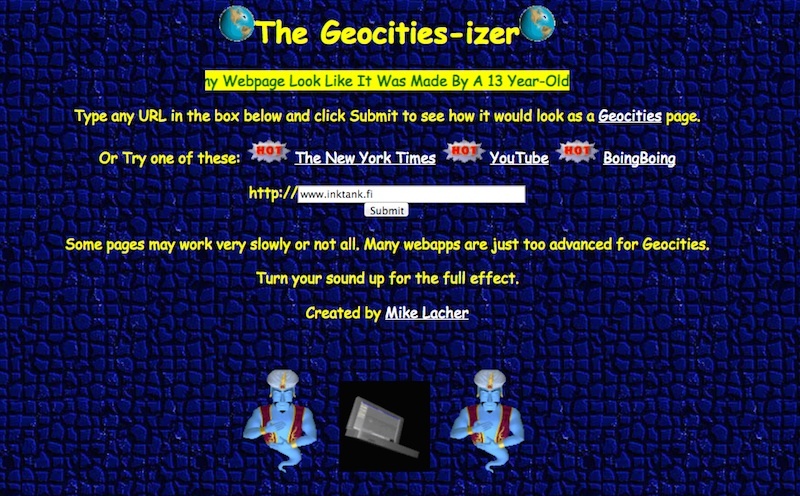 “The Geocities-izer” is kind of very different site at first I was unable to understand what this site do. Nice! 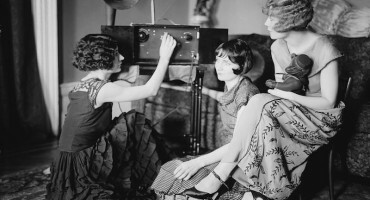 Not only are these sites entertaining but many of them are super-educational as well! I love stumble upon because its lot of learning this here &This very informative post thanks for sharing. Also, if you can find additional gifts of the event having minimal subscription price then it improves your possibility of profitable.